Rieke brings her inner self outward and reflects this in her statues. Rieke: “Art is a way of communicating, in which the subconscious can be transformed to conscious. Our inner self is our reality. 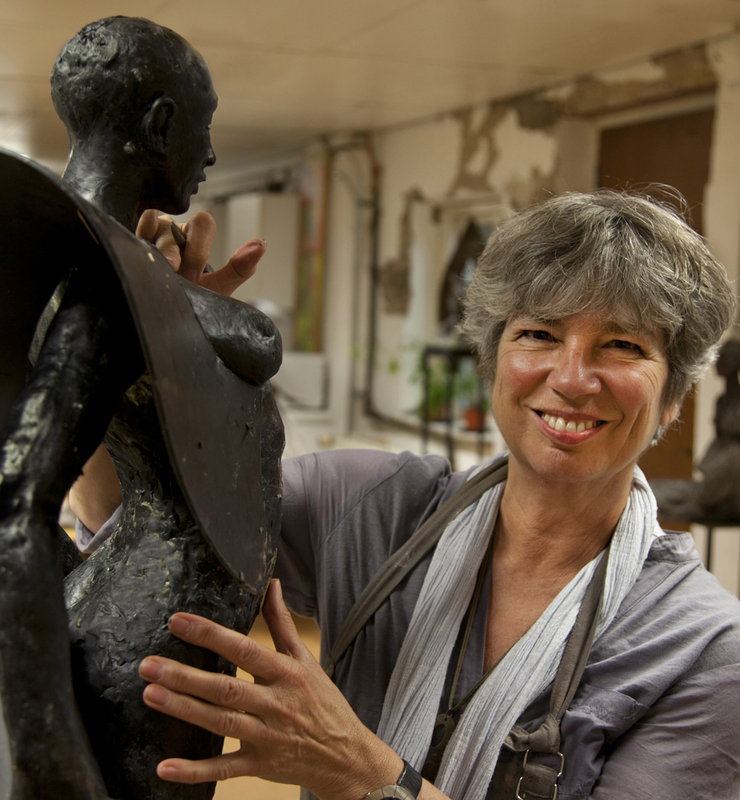 During the past 20 years, Rieke has mainly made female bronze sculptures. In her work, she shows how the inner being relates to ourselves, others and the world around us. Her figures are in motion or taking a next step, diligently exploring, reaching, searching, balancing and philosophising about life. The circle, a recurring theme in her work, represents our thoughts and feelings. In addition, her own visual language symbols designate our conditioned way of thinking and feeling. Rieke also uses geometric shapes. They are often beautiful to behold and complement the expressiveness of her work.